2015 is here!! Can you believe it folks?! Neither can I.. 2014 rushed by in a blink of an eye. I didn't do much for New Years this year.. I made a nice warm meal, and just watched the ball drop on TV. I'm actually surprised that I stayed up that long to watch it drop since last year I fell asleep BEFORE midnight struck! Haha. Something new I did before midnight struck was making short-term and long-term goals! So far, I'm staying on track and working hard! I Can't wait to see what 2015 has in store for me, and I'm going into this NEW year with a positive attitude! On that note, let's head down the rodeo trail. The PBR bucked it's way into Baltimore this past weekend, and I definitely couldn't be more excited! 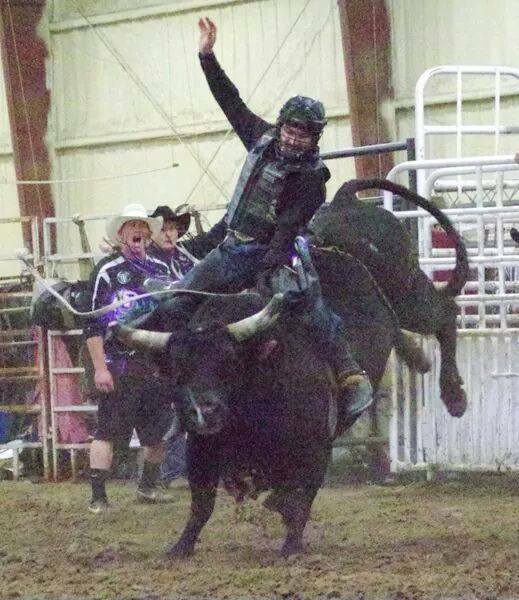 Friday night, kicked off the first round and Mike Lee took the round win with an 87.75 point ride on Pecos Bill! Saturday night, was the final round known as round 2/championship round. The PBR Bull Rider that won round 2, and the championship round was Reese Cates! Reese, rode his bull Percolator in the championship round for 86.5 points to SEAL the deal! Reese, is a bull rider that we haven't seen a whole lot of on the PBR tour, and it was nice to see Reese come back on the season-opener and finish it on top! I hope you guy's have a great rest of the week!